An accelerator which sits in the CPU socket of an A500 or A2000. 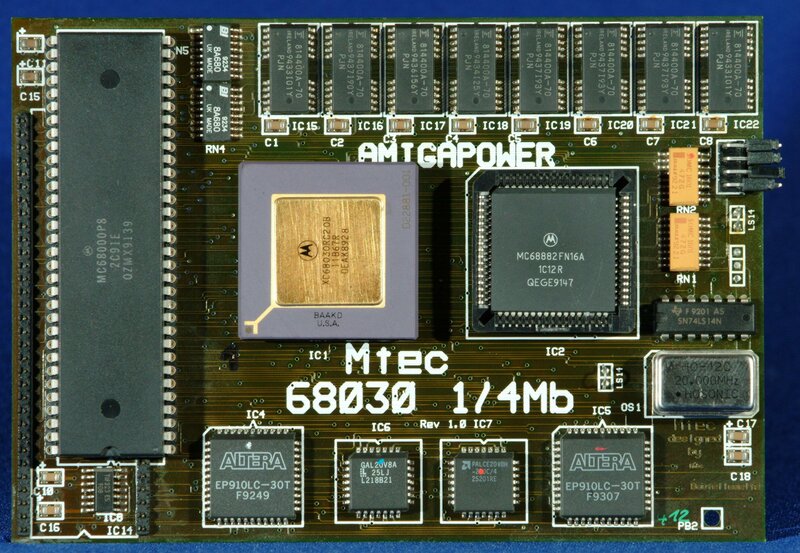 The 68000 can also be installed on the card as a fallback for incompatible old software. It may not be possible to fit a 68000 onto the board in some A500s unless a cut in the shielding is made to fit it. The memory on the card is non-AutoConfig therefore a utility called AddMem must be used to make the system aware of it. 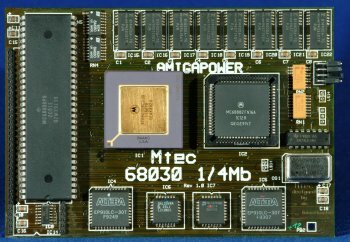 This card is probably the slowest 030 accelerator made for the Amiga. Page contributors: Eike Belgardt, RiWa & Friends.